With all products mentioned below, a high-end fashion statement can be obtained, so be the first to pair the three! 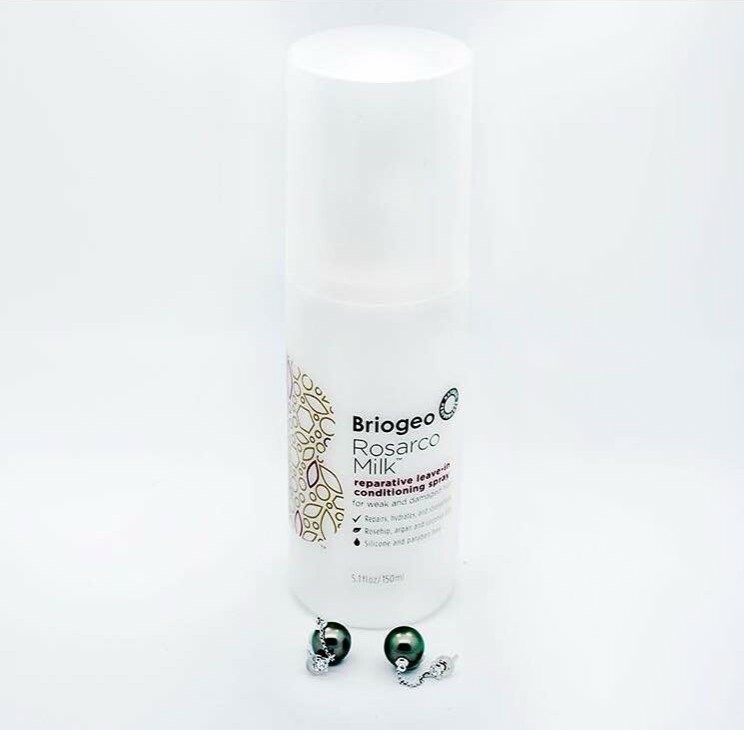 Whether you add both products from Briogeo to your hair care routine, or just one, the satisfying results are endless. Both bottles repair, hydrate, and strengthen damaged hair. Even if your hair is not necessarily damaged, you can always use either of these products to prevent damaged hair from occurring. Both products are free of paraben, silicone, and phosphates. Some hair-replenishing products consist of harsh chemicals that hurt your hair more than it helps, but these products are infused with rosehip, argan, and coconut oils that successfully restore damaged hair, also boosting moisture levels. We all know how damaged hair can be a pain to deal with and our Mytopface Experts were overjoyed with their results after testing both products. Our Expert was curious to see how Briogeo’s Rosarco Milk would work on her damaged hair after being treated with color on various occasions, and she was impressed to see that it was safe for color treated hair, and she no longer has anything to worry about! 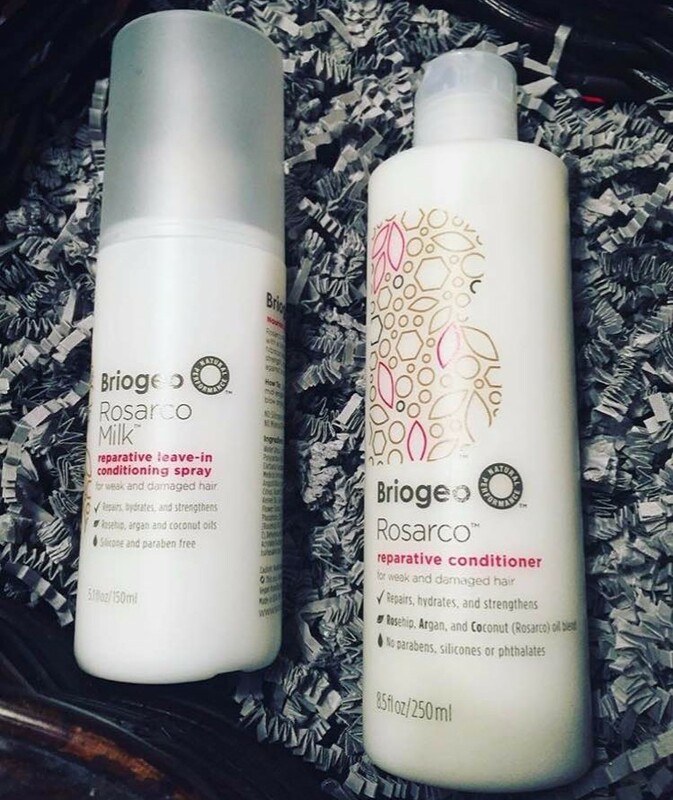 Our other Expert wanted to find out how well Briogeo’s Rosarco Repetitive Conditioner would work on her damaged hair due to her excessive use of heat, and she was even more amazed! She shared that the conditioner diminished all frizz, and left her hair feeling light and restored. 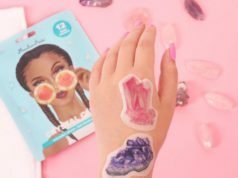 Already having touched on some of the natural ingredients, both products are vegan, gluten-free, organic, and is not tested on animals. How great is that! The reparative conditioner is most recommended to be used after shampooing, and make sure to let it sit for at least two minutes before rinsing. The conditioning spray is most recommended to be used on clean, damp hair, then you can proceed to dry and style as usual. Below we would like to mention an ideal pair of earrings that would perfectly accentuate your flawlessly shined hair! Timeless Pearl has over twenty years of experience when it comes to pearls. Pearl farming is a difficult and laborious profession, but Timeless Pearl makes it look effortless with the gorgeous pieces they offer. They offer brooches, necklaces, earrings, and more. Often times consumers wonder about the process of their purchased products, but Timeless Pearl is not a company you should ever be concerned about as they supervise the jewelry quality from all farms theypartner with, ensuring all customers have high quality pearl jewelry. Also, their partner pearl farms handcrafts all products. 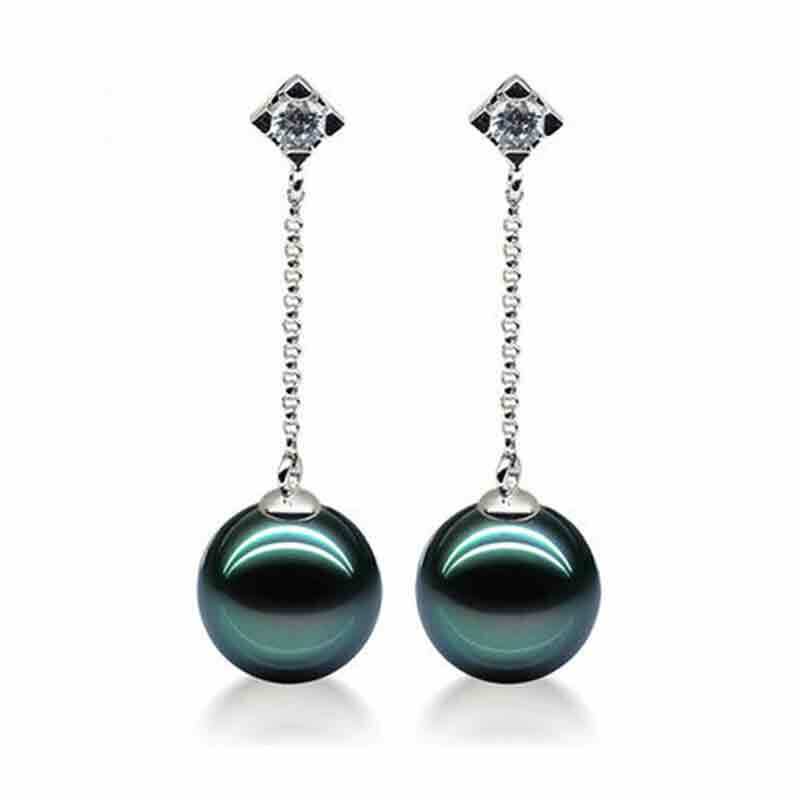 Their Black Tahitian Pearl Earrings match any elegant look you are trying to pull off. Whether for you, or a gift for someone else, these would look just right on anyone. These earrings are unique because it is not too often people wear a black pearl, but these are undeniably sleek. Our Experts fell in love with the style of the earring, and how beautifully it hung. These earrings are black, round-shaped, contains 18k white gold metal, is a Zircon gemstone, high luster to shine bright, AAAA grade, a Tahitian pearl type, and a nice size of 10-11mm. Our Mytopface Experts fell in love with each product for different reasons, but all are highly recommended.